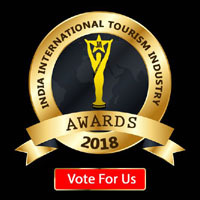 Srinagar famous for its canals, Srinagar houseboats and Mughal gardens is often remarked as a "Paradise on Earth".Srinagar has long been a center of art and leaning. 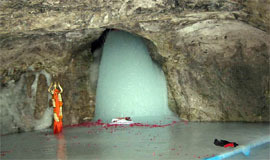 It is a unique city famous its lakes - the Dal, Nagin and Anchar as also the famous "Nishat Bagh". 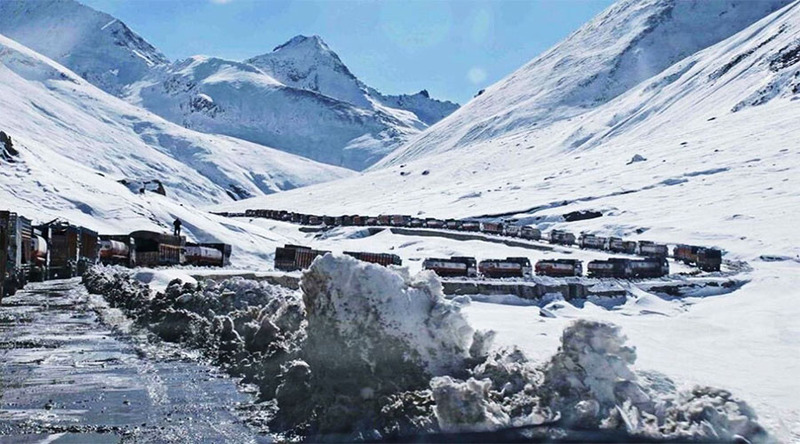 Pahalgam Overview: Pahalgam is famous for its scenic beauty and is the jewel of the picturesque Liddar valley located in the high Himalayas. 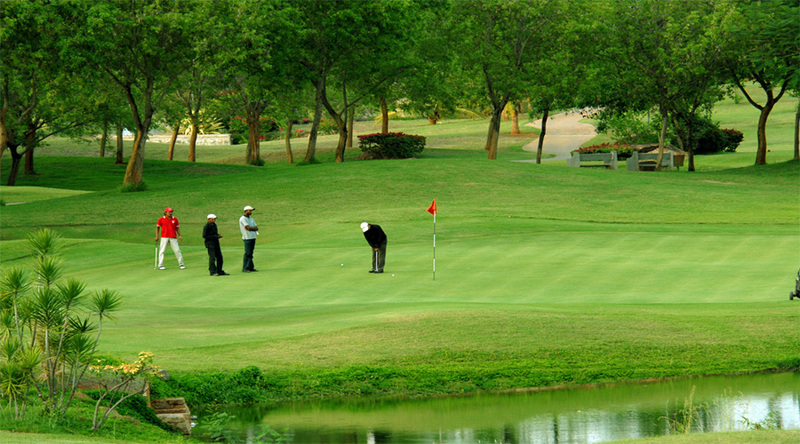 It provides an ideal setting for activities like hiking, trekking, and fishing. 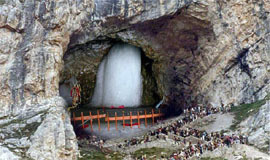 It is also the starting point of the annual pilgrimage to the holy cave of Amarnath. After breakfast, leave for full day excursion trip to Sonamarg. 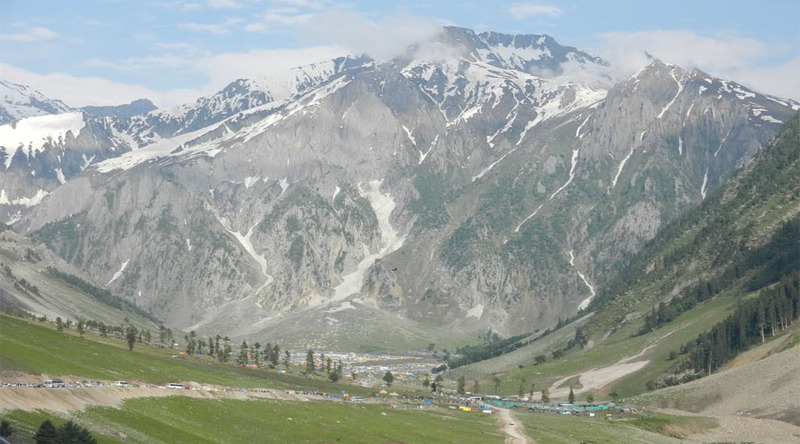 Situated at an altitude of 9000 Ft. Sonamarg – 84 Kms is also called as “The meadow of gold” has, as its backdrop, snowy mountains against a cerulean sky. The Sindh River that meanders through the valley abounds with trout and mahaseer. 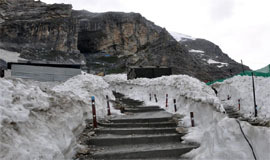 Ponies can be hired for the trip up to Thajiwas glacier, which is a major local attraction during the summer. Return for Dinner & overnight stay Hotel. 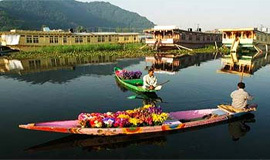 1.01 Night accommodation on Twin Sharing with breakfast & dinner at Srinagar Houseboat. 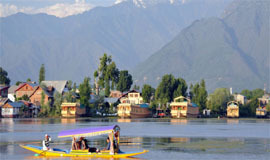 2.03 Nights accommodation on Twin Sharing with breakfast & dinner at Srinagar Hotel. 3.01 NAC Indigo/Etios (02 Pax) for Arrival & Departure from Srinagar International Airport to Hotel / HB & vice versa. 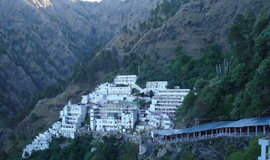 4.01 NAC Indigo/Etios (02 Pax) for Full day trip to Mughal Gardens & Shankaracharya temple. 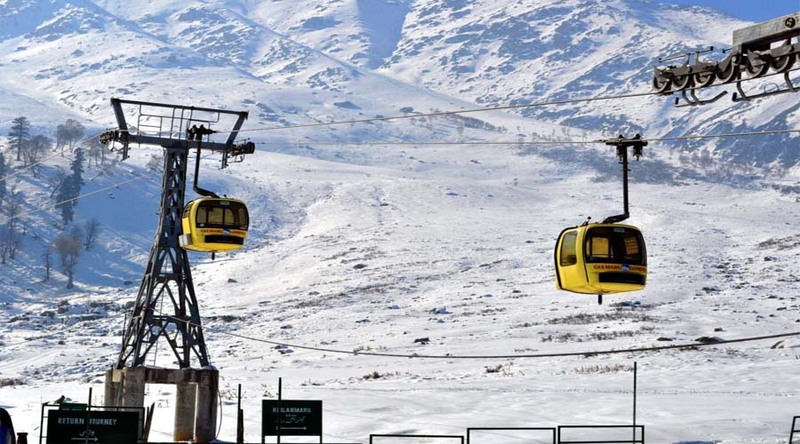 5.01 NAC Indigo/Etios (02 Pax) for Full day excursion trip to Gulmarg & Pahalgam.